The assignment was to research the history of the NFL Draft and create the All-Time First Round, selecting the best picks at each slot. The NFL Draft makes no sense. Oh sure, there is some semblance of rationality to the annual spring event, which brings upward of 250 new players into the NFL. The No. 1 overall pick does have the best collection of talent, and a significant number of Hall of Famers came out of the top-five picks. But the history of the first round is littered with busts, up to and including several No. 1 overall picks. The distribution of talent throughout the first round favors the top picks, but with several significant outliers. For instance, there’s no reason that the No. 24 pick should produce more elite talent than the No. 8 pick, but that’s what happened. The No. 15 pick is a black hole, and the list of quarterbacks at No. 22 is cringe-worthy. Yet one of the five greatest quarterbacks in NFL history was picked 27th, and two Hall of Famers went 28th. The players on Team 11th Pick would wipe the floor with the players on Team 7th Pick. To compile this list, we used the 1970 NFL-AFL merger as our cutoff, giving us 48 years’ worth of drafts. And we included only first-round picks – so the No. 29 pick of the 1989 draft doesn’t count, because the first round was only 28 players then. And of course, no Tom Brady, who obviously is the greatest draft pick of all time. Some of these choices were obvious. Some were uninspiring. And some involved the flip of a coin. Jadeveon Clowney (2014), Andrew Luck (2012), Cam Newton (2011), Eli Manning (2004), Carson Palmer (2003), Michael Vick (2001), Peyton Manning (1998), Orlando Pace* (1997), Drew Bledsoe (1993), Troy Aikman* (1989), Vinny Testaverde (1987), Bo Jackson (1986), Bruce Smith* (1985), Billy Sims (1980), Earl Campbell* (1978), Lee Roy Selmon* (1976), Jim Plunkett (1971), Terry Bradshaw* (1970). Obviously the toughest choice in the draft, with seven Hall of Famers in the group, and Peyton Manning on the way. Bradshaw (four) and Aikman (three) have the most Super Bowl rings, but they were viewed as just pieces to the puzzle on loaded Steelers and Cowboys teams. Campbell is tempting, but his career was too brief. Jackson and Vick were the most athletic. Peyton has the fancy passing stats, but Elway, who was drafted by the Colts and then immediately traded to the Broncos, has more Super Bowl appearances (5-4). While Manning’s teams often choked in the playoffs, Elway carried some Broncos teams to the Super Bowl almost singlehandedly. And while Manning was carried by his teammates in his final championship, Elway did most of the heavy lifting in each of his final two championship seasons. Carson Wentz (2016), Von Miller (2011), Ndamukong Suh (2010), Calvin Johnson (2007), Julius Peppers (2002), Donovan McNabb (1999), Tony Boselli (1995), Marshall Faulk* (1994), Eric Turner (1991), Cornelius Bennett (1987), Eric Dickerson* (1983), Tony Dorsett* (1977), Randy White* (1975), Bert Jones (1973), Archie Manning (1971). Pretty easy pick, though Faulk, Dickerson, Dorsett, and White are all worthy choices. Taylor had 142 unofficial sacks in 13 seasons with the Giants, while redefining the pass-rushing outside linebacker position and the importance of the blind-side protector. The No. 2 pick has been shockingly bad this century, with busts like Charles Rogers, Jason Smith, Robert Gallery, and Greg Robinson. Joey Bosa (2016), Gerald McCoy (2010), Matt Ryan (2008), Joe Thomas (2007), Larry Fitzgerald (2004), Andre Johnson (2003), Sean Springs (1997), Steve McNair (1995), Garrison Hearst (1993), Sean Gilbert (1992), Cortez Kennedy* (1990), Jim Everett (1986), Carl Banks (1984), Gary Zimmerman* (1984, supplemental), Anthony Munoz* (1980), Dan Pastorini (1971). Munoz is arguably the greatest left tackle in NFL history, and the No. 3 pick produced a solid run of talent in the 2000s with Johnson, Fitzgerald, Thomas, and Ryan. But how can you not pick Sanders, one of the five most dynamic players in NFL history? In 10 seasons, Sanders led the NFL in rushing four times, went to 10 Pro Bowls, and was first- or second-team All-Pro 10 times as well. Lane Johnson (2013), A.J. Green (2011), Trent Williams (2010), D’Brickashaw Ferguson (2006), Philip Rivers (2004), Edgerrin James (1999), Charles Woodson (1998), Jonathan Ogden* (1996), Willie McGinest (1994), Derrick Thomas* (1989), Chris Doleman* (1985), Reggie White* (1984, supplemental), Kenny Easley* (1981), Dan Hampton* (1979), John Hannah* (1973). Much more top-end talent at the fourth pick than there has been at No. 3. Ogden, Thomas, and Hannah were the best in their league at their positions. James and Woodson will join them in Canton. But the contest is over once Payton shows up. “Sweetness” held the all-time rushing record until Emmitt Smith broke it, went to nine Pro Bowls, was first-team All-Pro seven times, was the 1977 MVP, and won a Super Bowl. Khalil Mack (2014), Ezekiel Ansah (2013), Patrick Peterson (2011), Eric Berry (2010), Sean Taylor (2004), Terence Newman (2003), LaDainian Tomlinson* (2001), Jamal Lewis (2000), Ricky Williams (1999), Terrell Buckley (1992), Junior Seau* (1990), Jim McMahon (1982), Mike Haynes* (1976), Dave Butz (1973). The fifth pick has produced some impressive cornerbacks, with Peterson a possibility to join Haynes in the Hall of Fame, and Newman lasting 15 NFL seasons. The fifth pick also produced a trio of solid running backs around the turn of the century. But the obvious choice is Sanders, who redefined the term “shutdown corner.” In 1994, he joined the 49ers and they won the Super Bowl, and in 1995, Sanders joined the Cowboys and they won the Super Bowl. As an aside, the Chargers have done quite well with the fifth pick, with Seau and Tomlinson. Leonard Williams (2015), Julio Jones (2011), Russell Okung (2010), Vernon Davis (2006), Pacman Jones (2005), Torry Holt (1999), Walter Jones* (1997), Tim Brown* (1988), Lomas Brown (1985), James Lofton* (1978), Robert Brazile* (1975), John Riggins* (1971). This was a tough one, with several Hall of Famers but no obvious standout. Jones made nine Pro Bowls in 13 years and four first-team All Pros. Brazile dominated the 1970s and ’80s, but played before the sack was an official stat, hurting his value. Riggins and Holt were dominant players on Super Bowl teams. Lofton and Brown were great, but cancel each other out. Seymour’s résumé sparkles the most, with seven Pro Bowls, three first-team All-Pros, a spot on the NFL’s 2000 All-Decade team, and of course, the three Super Bowl titles with the Patriots. His enshrinement in Canton seems inevitable. Mike Evans (2014), Adrian Peterson (2007), Bryant McKinnie (2002), Andre Carter (2001), Ike Hilliard (1997), Terry Glenn (1996), Bryant Young (1994), Troy Vincent (1992), Sterling Sharpe (1988), Hugh Green (1991), Phil Simms (1979). A shocking lack of options, with not one Hall of Famer in the bunch. The choice comes down to Bailey vs. Peterson, two players who should make it to Canton. They essentially have the same résumé — widely considered among the best in the league at their positions, with long, durable careers, and no postseason success. Bailey made 12 Pro Bowls in 14 seasons, and five first-team All-Pros, and was a tremendous athlete and dynamic returner. Peterson led the league in rushing three times, was the 2012 MVP, and earned seven Pro Bowls in 11 seasons. It’s a tough choice, but I’m taking the shutdown cornerback over the running back. Jack Conklin (2016), Ryan Tannehill (2012), Eugene Monroe (2009), Donte Whitner (2006), DeAngelo Hall (2004), Plaxico Burress (2000), James Farrior (1997), Joey Galloway (1995), Willie Roaf* (1993), Leslie O’Neal (1986), Mike Munchak* (1982), Ottis Anderson (1979). The No. 8 pick is why this exercise is fascinating. In theory, this should be a great pick. In reality, it has produced a whole bunch of nothing over the last couple of decades. Working backward, it was looking like a battle between underwhelming receivers Burress and Galloway before Roaf popped up in 1993, Munchak in ’82, and finally Lott in ’81. And the contest is over once Lott is in: four Super Bowl rings, 10 Pro Bowls, the 1980s and 1990s All-Decade teams, and the NFL 75th anniversary team. But the list of players post-2000? Woof. Anthony Barr (2014), Luke Kuechly (2012), Tyron Smith (2011), Kevin Williams (2003), Brian Urlacher* (2000), Fred Taylor (1998), Lincoln Kennedy (1993), Richmond Webb (1990), Jerome Brown (1987), Gerald Riggs (1992). The ninth pick has produced a pair of stud linebackers, with Kuechly on the path to join Urlacher in Canton. But the clear choice is Matthews, who had an incredible 19-year career with the Oilers/Titans. Not only did Matthews make 14 Pro Bowls and nine first-team All-Pros, he started 229 consecutive games, and 292 of a possible 304 games in his career. He also had impressive versatility, starting 99 games at left guard, 87 as a center, 67 at right guard, 22 at right tackle, and 17 at left tackle. Todd Gurley (2015), Stephon Gilmore (2012), Michael Crabtree (2009), Jerod Mayo (2008), Terrell Suggs (2003), Chris McAlister (1999), Willie Anderson (1996), Jerome Bettis* (1993), Herman Moore (1991), Keith Byars (1986), Al Toon (1985), Marcus Allen* (1982). Allen is the only other player worthy of discussion, with his six Pro Bowls and 1985 MVP award. But Woodson had a remarkable 17-year career, first as a dominant Pro Bowl cornerback for a decade, then transitioning to a Pro Bowl safety at the end of his career. Woodson won a Super Bowl with the Steelers and was named to 11 Pro Bowls and six first-team All-Pros. He was the 1993 NFL Defensive Player of the Year, twice led the league in interceptions, and was named to the NFL’s 75th anniversary team. Marshon Lattimore (2017), Taylor Lewan (2014), J.J. Watt (2011), Patrick Willis (2007), DeMarcus Ware (2005), Dwight Freeney (2002), Dan Morgan (2001), Daunte Culpepper (1999), Michael Irvin* (1988), Wilber Marshall (1984). The 11th pick is another reason why this exercise is fascinating, because this pick is loaded. Watt might end up being the pick when his career is done, though the injury bug has bitten him two straight seasons. Freeney should end up in Canton, and Ware might get there, as well. Irvin is already in Canton, and won three Super Bowls. But I’m going with Big Ben, who has made six Pro Bowls, is annually one of the top-rated passers in the NFL, and led the Steelers to two Super Bowl titles. Deshaun Watson (2017), Odell Beckham (2014), Ryan Clady (2008), Marshawn Lynch (2007), Haloti Ngata (2006), Jonathan Vilma (2004), Shaun Ellis (2000), Keith Brooking (1998), Warrick Dunn (1997), Aaron Glenn (1994), Alvin Harper (1991), Trace Armstrong (1989), Ken Harvey (1998), Jim Lachey (1985), Clay Matthews Jr.* (1978), Chuck Foreman (1973). Beckham might one day play his way into the discussion, but for now it has to go to Sapp, a seven-time Pro Bowler and the 1999 Defensive Player of the Year who had an unfathomable 96.5 sacks from the defensive tackle position. Sapp was named to the 1990s and 2000s All-Decade teams, had 29 sacks in 1999-2000, and won a Super Bowl with the Bucs. Matthews made four Pro Bowls in 19 seasons, and is the oldest player to record a sack, at 40 years, 282 days. Aaron Donald (2014), Jonathan Stewart (2008), John Abraham (2000), Takeo Spikes (1998), Brad Hopkins (1993), Eric Metcalf (1989), Keith Jackson (1988), Keith Millard (1984), Kellen Winslow* (1979), Franco Harris* (1972). The 13th pick could feature a devastating two-tight end attack with Gonzalez and Winslow, both of whom revolutionized the position as receivers. The tiebreaker goes to Gonzalez for longevity, as he played 17 seasons to just nine for Winslow. Gonzalez had 15,127 career receiving yards and 111 touchdowns, was named to 14 Pro Bowls in 17 seasons, and should be a first-ballot Hall of Famer next year. Earl Thomas (2010), Malcolm Jenkins (2009), Thomas Davis (2005), Jeremy Shockey (2002), Eddie George (1996), Jim Kelly* (1983), Randy Gradishar (1974). Kelly is the only Hall of Famer from the 14th pick, but Revis will join him there soon enough. Revis earned seven Pro Bowl berths in his 10 full seasons, won a Super Bowl with the Patriots, and was widely regarded as the best cornerback in the NFL for a three- to four-year stretch with the Jets. Kelly may have been the pick had he brought a Lombardi Trophy to Buffalo. Ryan Shazier (2014), Mike Pouncey (2011), Jason Pierre-Paul (2010), Brian Cushing (2009), Branden Albert (2008), Lawrence Timmons (2007), Albert Haynesworth (2002), Anthony McFarland (1999), Tony Eason (1983). The 15th pick hasn’t produced any Hall of Famers, but the last decade has been fruitful, almost exclusively with defensive players and offensive linemen. The most productive and consistent has been Johnson, a four-time Pro Bowler and a tackling machine for 13 years in Kansas City. If you find the Johnson pick underwhelming, well, the pre-2000 history of the 15th pick is dreadful. Troy Polamalu (2003), Santana Moss (2001), Jevon Kearse (1999), Hugh Douglas (1995), Raymond Clayborn (1977). Too bad for Polamalu, who didn’t have the good fortune to go 15th. Polamalu had eight Pro Bowls and two Super Bowls and should go into Canton around 2020. Kearse had 36 sacks in his first three NFL seasons, but just 38 over his next eight. Rice led the NFL in receiving yards six times, earned 13 Pro Bowl berths, and twice was the NFL Offensive Player of the Year. Surprisingly, he won “only” three Super Bowls. He played for so long that I thought he had won more. Nate Solder (2011), Mike Iupati (2010), Chad Greenway (2006), Steve Hutchinson (2001), Sebastian Janikowski (2000), Doug Williams (1978). As much as I want to pick Seabass, I probably have to go with the guy who leads the NFL in all-time rushing yards (18,355) and rushing touchdowns (164). Williams had the best Super Bowl win of the bunch, and Solder is certainly the highest-paid. Marcus Peters (2015), Melvin Ingram (2012), Maurkice Pouncey (2010), Joe Flacco (2008), Will Smith (2004), Calvin Pace (2003), Chad Pennington (2000), Willie Gault (1983). It took him a few years to get his Canton enshrinement, but Monk was the model of consistency for the 1980s “Fun Bunch” Redskins. 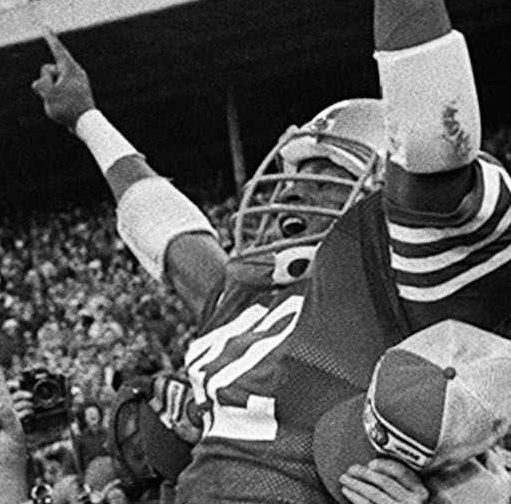 He won three Super Bowls, led the NFL in receptions in 1984, and earned three Pro Bowl berths. Pennington could have been great if not for the shoulder injuries. He got robbed of the 2008 MVP. Jeremy Maclin (2009), Antonio Cromartie (2006), Casey Hampton (2001), Shaun Alexander (2000), Luke Petitgout (1999), Randall McDaniel* (1988), Joey Browner (1983), Jack Tatum (1971). Some surprisingly solid options for this area of the draft. Alexander had a dominant three-year stretch that included the 2005 MVP. The Vikings have done great with the 19th pick, getting a Hall of Fame guard in McDaniel and a six-time Pro Bowler in Browner, who is in the team’s Ring of Honor. But Harrison is the choice, if for nothing else than his remarkable consistency. Harrison had eight consecutive years of 1,100-plus receiving yards and double-digit touchdowns, and is in the conversation for second-best receiver of all-time behind Rice. Brandin Cooks (2014), Aqib Talib (2008), Tamba Hali (2006), Javon Walker (2002), Steve Atwater (1989), Mark May (1981). Another one where I didn’t know whom I would pick until Youngblood emerged at the end of the search. Youngblood, the only Hall of Famer in the group, unofficially had 151.5 sacks in his 13 years with the Rams, earning seven Pro Bowls and five first-team All-Pros. And he was one tough dude, playing the 1979 playoffs with a fractured fibula. Chandler Jones (2012), Alex Mack (2009), Vince Wilfork (2004), Nate Clements (2001), Robert Smith (1993), Eric Green (1990), Jerry Gray (1985), Lynn Swann* (1974). Some intriguing names on this list, but Moss was an easy choice. He led the NFL in receiving touchdowns five times, was named to six Pro Bowls, and holds NFL records for receiving touchdowns as a rookie (17) and in a season (23). The Patriots have done well with this pick with Jones and Wilfork. Percy Harvin (2009), Desmond Trufant (2013), Tebucky Jones (1998), Alonzo Spellman (1992), Andre Rison (1989), William Perry (1985), Gill Byrd (1983). Attention, NFL teams: DO NOT DRAFT A QUARTERBACK WITH THE 22ND PICK. This list will make you queasy: Rex Grossman, J.P. Losman, Brady Quinn, Brandon Weeden, and Johnny Manziel. The list of non-QBs isn’t much better, with the choice coming down to Thomas, a productive young receiver, and Byrd, a Chargers Hall of Famer. Not much of a fan of Thomas, but he’s the best of a mediocre bunch. Bryan Bulaga (2010), Willis McGahee (2003), Deuce McAllister (2001), Antoine Winfield (1999), Ty Law (1995), Randal Hill (1991), Bruce Armstrong (1987), Jim Jeffcoat (1983), Ray Guy* (1973). As much as we wanted to pick a punter — and Bill Belichick might actually do it — instead this comes down to a tough choice between Newsome and Law, who will eventually get his induction into Canton. We’re going with Newsome, a tough-as-nails tight end who still holds a handful of Browns receiving records and was a member of the 1980s All-Decade team. The Patriots have done quite well at No. 23 with Law and Armstrong. Cameron Jordan (2011), Dez Bryant (2010), Chris Johnson (2008), Johnathan Joseph (2006), Stephen Jackson (2004), Dallas Clark (2003), Ed Reed (2002), Eric Moulds (1996), Craig Heyward (1988), Ken O’Brien (1983), Archie Griffin (1976). Team 24th Pick has a healthy list of quality players and probably could beat a lot of teams in the top 10. But the headliners are the two future Hall of Famers, Rodgers and Reed. Our quarterback bias takes us to Rodgers, who has two MVPs, six Pro Bowls, and one Super Bowl (though someone as talented as Rodgers probably should have more). Reed was a nine-time Pro Bowler, a five-time first-team All-Pro, a three-time interceptions leader, the 2004 Defensive Player of the Year, and a Super Bowl champion. It’s too bad he wasn’t drafted 22nd. Shaq Thompson (2015), Dont’a Hightower (2012), Vontae Davis (2009), Jon Beason (2007), Santonio Holmes (2006), O.J. McDuffie (1993), Ted Washington (1991), Stanley Morgan (1977). Another position that for whatever reason hasn’t produced much Pro Bowl talent. Morgan is an interesting choice, a two-time All-Pro who led the NFL in touchdowns in 1979 and had 1,491 yards and 10 touchdowns in 1986. Hightower has been a major contributor to two Super Bowl champions, though he doesn’t quite have the elite stats. But our choice is Rhodes, a terrific young cornerback who is arguably the most underrated defender in today’s NFL. Rhodes was just named first-team All-Pro for the first time, and should have a long, productive career in Minnesota. Whitney Mercilus (2012), Clay Matthews (2009), Duane Brown (2008), Alan Faneca (1998), Robert Porcher (1992), Jim Harbaugh (1987). Not much discussion here. Lewis has 13 Pro Bowls, seven first-team All-Pros, two Defensive Player of the Year awards, and two Super Bowl titles. Faneca is a worthy second option, however, with his nine Pro Bowls and membership on the Steelers’ All-Time Team. He’ll get into Canton eventually. DeAndre Hopkins (2013), Devin McCourty (2010), DeAngelo Williams (2006), Roddy White (2005), Jason Babin (2004), Larry Johnson (2003), Ricky Nattiel (1987), Neal Anderson (1986). A few solid options here with Hopkins, McCourty, and White. But Marino will always own this spot, slipping down to No. 27 thanks to predraft rumors. Just imagine if the Patriots took Marino 15th overall instead of Tony Eason, or if the Jets took him 24th instead of Ken O’Brien. Their blunders were the Dolphins’ gain. Mark Ingram (2011), Eric Wood (2009), Joe Staley (2007), Mark Ingram (1987), Darrell Green* (1983). As a child of the ’80s and ’90s who grew up in the D.C. area., it pains me not to select Green, a 5-foot-8-inch cornerback who lasted 20 years in the NFL, won two Super Bowls, earned seven Pro Bowl berths, and was a four-time winner of the NFL’s Fastest Man competition. But Brooks was the heart and soul of an all-time great Buccaneers defense. And he has a résumé that’s tough to beat, with 11 Pro Bowls in 14 seasons, five first-team All-Pros, the 2002 Defensive Player of the Year award, and a Super Bowl title. Harrison Smith (2012), Hakeem Nicks (2009), George Teague (1993). This pick as a first-rounder only goes back to 1993, so it’s slim pickings here. Smith is a terrific young safety who has been named to three Pro Bowls and one first-team All-Pro. 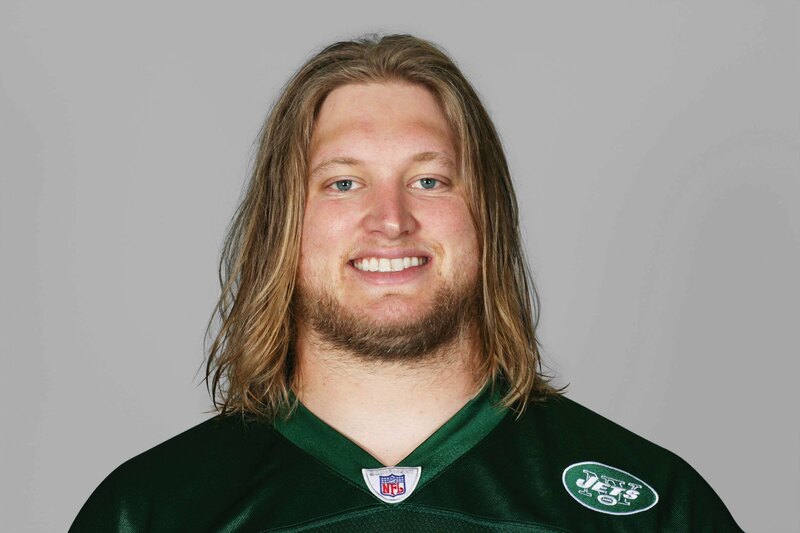 But the recently retired Mangold is the choice, with seven Pro Bowls in 11 years and two first-team All-Pros. The Patriots have two No. 29 picks on their current roster — Cordarrelle Patterson and Phillip Dorsett — and also used one on Dominique Easley in 2014. Muhammad Wilkerson (2011), Joseph Addai (2006), Heath Miller (2005), Keith Bulluck (2000), Patrick Kerney (1999). This pick only goes back to 1995, and has produced a few solid players. Wayne is the easy choice, with six Pro Bowls and a Super Bowl title, and a likely spot in Canton. This didn’t become a full-time first-round pick until 1999, although there was one in 1995. Asomugha’s résumé is a little stronger than Olsen’s, with two first-team All-Pro selections. But he was a bit of a scheme player who was exposed when he left Oakland, and had only 15 career interceptions in 11 seasons. 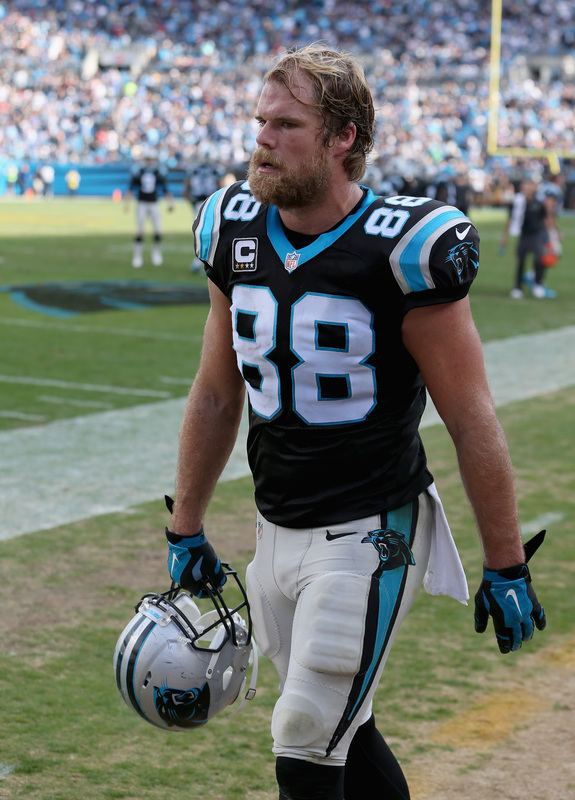 Olsen has been one of the league’s top tight ends for a decade, with three Pro Bowls and two second-team All Pros. Mathias Kiwanuka (2006), Ben Watson (2004). This pick should be Drew Brees, who was taken 32nd overall in the 2001 draft. Receiver Henry Ellard (1983) would be another worthy choice. But the rules are the rules, and this didn’t become a full-time first-round pick until 2002. 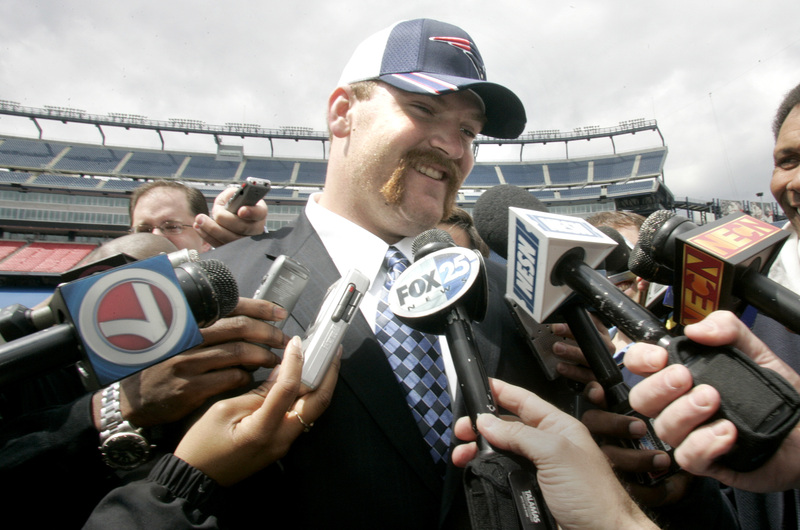 So we go with Mankins, a seven-time Pro Bowler and 2010 first-team All-Pro. Is the next Jimmy Garoppolo available in this NFL Draft?